UCLA Lab Suppliers: If You Don't Exhibit Now, You'll Hate Yourself Later. UCLA is consistently ranked as one of the top research institutions in the world, boasting more separate research programs and highly acclaimed research scientists, top physicians and Noble Laureates in a top urban area than anywhere else on the planet. On October 4th, 2012, the on-campus Biotechnology Vendor Showcase™ Event will feature dozens of industry leaders from laboratory research and scientific service fields as they present the newest products and services to top academic researchers seeking solutions for their research programs. UCLA is a 1 billion dollar research and development marketplace. Last year 156 purchasing agents, professors, and post docs attended from 87 different departments and 51 different research buildings. We offer skilled professionals specialized in on-campus life science research trade shows. Flexible products and promotional packages. Connection with an engaged, receptive, target audience interested in biotechnology products. 76: The average number of visitors to exhibitor booths. 24: The average number of new leads generated per exhibitor. $65-$100,000: The price range of products displayed by our vendors. 127: The highest number of new leads collected by an exhibitor during the event. "Everyone went above and beyond! It was great!." on a scale of 1-5, "the Onsite Director was rated a 6." "Amy[the Onsite Director] was fantastic. Always around checking to make sure things are running smoothly and with an eye to solutions and satisfaction. She’s Awesome." Now in its 20th year, the Biotechnology Vendor Showcase™ has developed a reputation for its strong educational value and positive return for attendees, sponsors and exhibitors. Exhibiting at this event allows you to market your products and services to an incredibly receptive and responsive group. Our attendees understand the importance of face-to-face time with suppliers, which is why twice each year over 700 researchers flock to this event to find the equipment and technology advancements and get ideas on how to get past research challenges. Bio-Rad, Sarstedt, Millipore Corporation, Applied Biosystems, Biolegend Inc., Miltenyi Biotec, New England Biolabs, Molecular Devices Corporation, Fine Science Tools, Eppendorf North America, Thermo-Fisher Scientific, BD Bio, GoldBio.com, Phenix Research Products, Cell Signaling Technology, Gilson Inc., Meso Scale Discovery, and MP BioMedical. Follow the link for a complete list of current companies attending the fall UCLA Biotechnology Vendor Showcase™ Event. 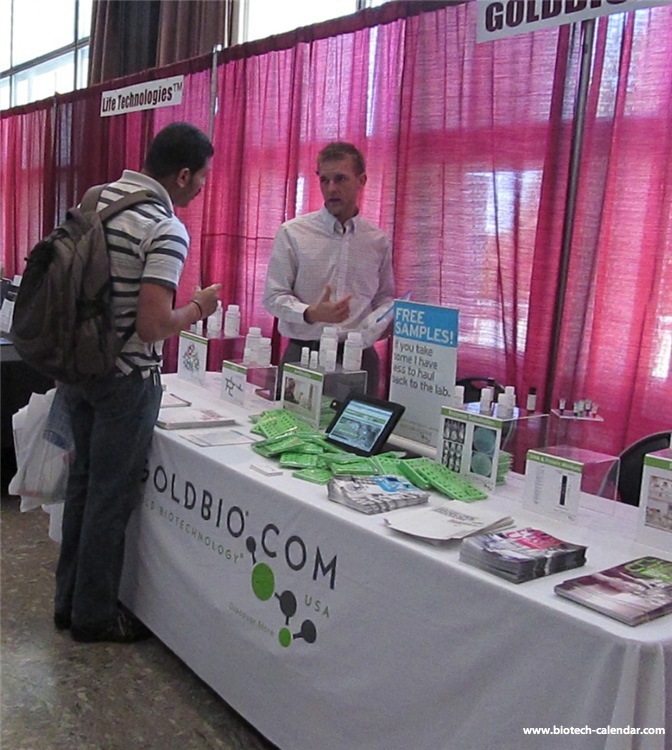 Participation in the UCLA Biotechnology Vendor Showcase™ Event should be an essential part of every biotechnology company's advertising strategy. This UCLA based event is located in a researcher's mecca with large numbers of highly funded researchers concentrated in a small area. The University of California, Los Angeles consistently ranks very high in NSF and NIH funding. In 2011 UCLA was ranked 10th in NIH funding with grants totaling more than $356 million. Moreover, it was ranked 4th in NSF in funding for 2009 with funding totaling more than $648 million. Currently, the university is in an expansion phase with the opening of the New Terasaki Life Science Building, the Broad Stem Cell Research Center, and the future expansion of the Jules Stein Eye Institute of Surgical and Research Facility. Hurry, before it's too late, don't miss out on this unique opportunity to be a part of the UCLA Biotechnology Vendor Showcase™ Event. Reserve your space at the UCLA Biotechnology Vendor Showcase™ today. We look forward to meeting with you face to face.